Takeaway: By combining Green Planet, a fertilizer manufacturer and wholesaler for hydroponic equipment, with Pacific Northwest Garden Supply, a line of hydroponic retail shops throughout south-western British Columbia, these companies have had the market cornered on hydroponics throughout the Pacific Northwest since their inception in the early ’90s. Now, they distribute Green Planet Nutrients throughout North America, Europe, parts of South America, and Australia. Here, co-owners Steven Betts and Justin Cooper give the history of how they began and how the brand has gained traction into new markets. Steven: I took a two-year horticulture course in high school, then went to work for a horticulture retail store and wholesale company in Surrey, BC. During my time at the retail store, I ended up tripling their sales in three months, and I decided to open my own store. That was in 1991, and we got our own started up in 1993. Although there has been many peaks and valleys, it’s been a healthy and steady rising ever since we started. I worked with Justin in the retail store and he offered to work for free for a week to see how he did, so I gave him a shot. I liked what he did and his positive attitude and willingness to work, so I hired him full on. A few years later, we decided to become business partners in the Squamish location. Steve: The industry in general has changed dramatically over the years, so the business also had to adapt. The company is now large enough that it’s no longer about “you as a business owner” anymore, but I guess it never was to begin with. I never thought about raising the flag or being the hero, as it’s always been about how to help employees, business partners, or customers deal with the adaptation and enhance their capacity. Justin: You’ve got to have thick skin to be in this industry. People are always talking about businesses that are “overnight successes”, which is just completely untrue. Any business that is successful really takes a minimum of 10 years to get going, and you’ve got to add blood, sweat, and tears in that equation. Steve: Family is crucial. We have a long history of sticking by our employees because, at least to us, they are essentially family… [one] thing that makes the family so tight is that we’re not absentee owners. Justin: I never ask anybody to do a job that I wouldn’t do myself. I started the company sweeping floors and I’ll leave the company sweeping floors. If you ask us what our greatest strength is, it’s our team. Steve: When it comes to the manufacturing nutrients, it’s essential to consider the different styles of growers you have: soil, hydroponics, aeroponics—there are so many ways to grow plants. So, what we’ve done is come out with a nutrient system for every style of grower. We also manufacture other additives, flower enhancers, bud and bloom boosters and hardeners, pH up and down, humic and fulvic additives, stress relieving products and much more. Steve: Our flagship product that we’re known for is Massive Bloom Formulation, which can be used with any feed program. Justin: I think when people are struggling and a product comes along and clicks with their plants, it makes them ecstatic. We never need to push Massive; it’s a product with such positive customer feedback that it advertises itself. What should the novice home gardener know about your products? Steve: We are here to help. We have telephone support and very knowledgeable staff, which includes scientists. You can also ask us questions on social media, and we have hundreds of videos on our YouTube channel. Anything new and exciting at the research and development stage you can tell us about? Steve: The release of our newest three-part base nutrient system, GP3, was an exciting launch for us. We had been researching for years, testing it on the biggest gardens around, and it’s blowing away our predictions for how well it is being received by growers. Justin: We get incredible results from GP3 with growers growing plants far larger than they—or we—even thought possible. I’ve seen growers using GP3 that have accomplished plants as tall as trees that normally don’t get that big. 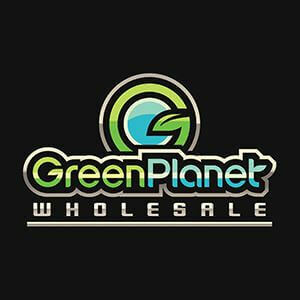 What makes Green Planet Nutrients unique from other brands? Steve: We have multiple chemists on staff and we have gone to great lengths to source the finest nutrients. We even test individual samples in an incubator for a year to see what happens. If something doesn’t work, or doesn’t meet our standards, we scrap it and go back to the drawing board. Justin: We stick to our words. If we claim we have the world’s finest nutrients, we are going to be truthful to that. For example, we use no food coloring or dyes in our products and very low levels of preservatives compared to other nutrient brands. When sourcing nutrients we go to great lengths to find the cleanest possible ingredients and ensure the ratio of each element is spot on for maximum absorption for your plant. Our quality control is second to none. I don’t make a product I wouldn’t use myself.